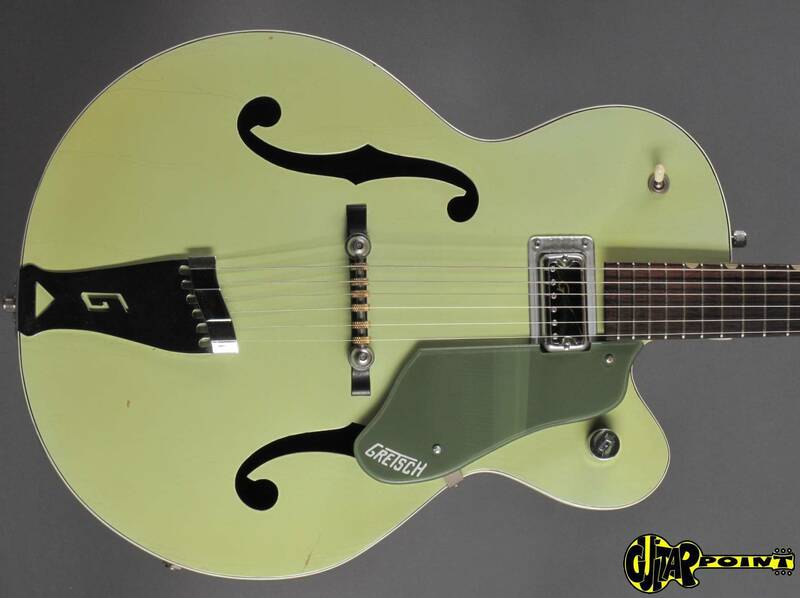 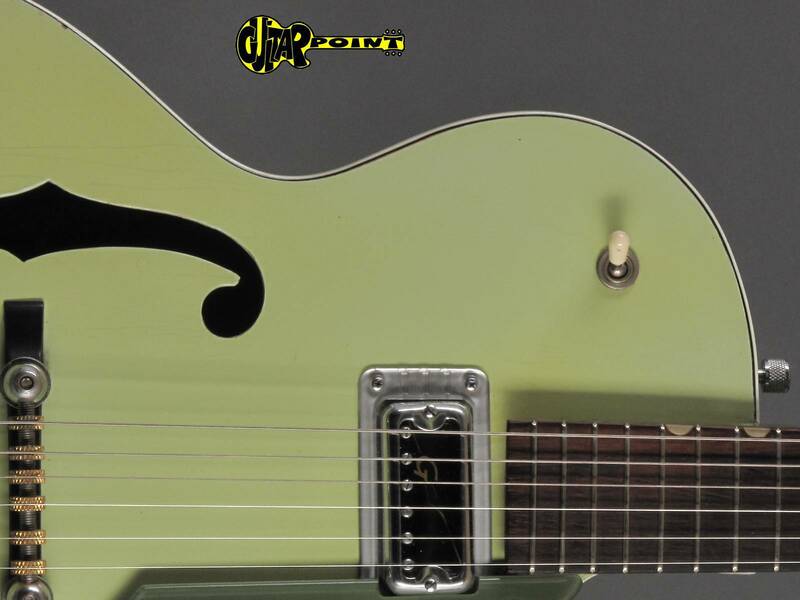 Clean and all original 1962 Gretsch 6125 "Anniversary" in excellent condition for its age. 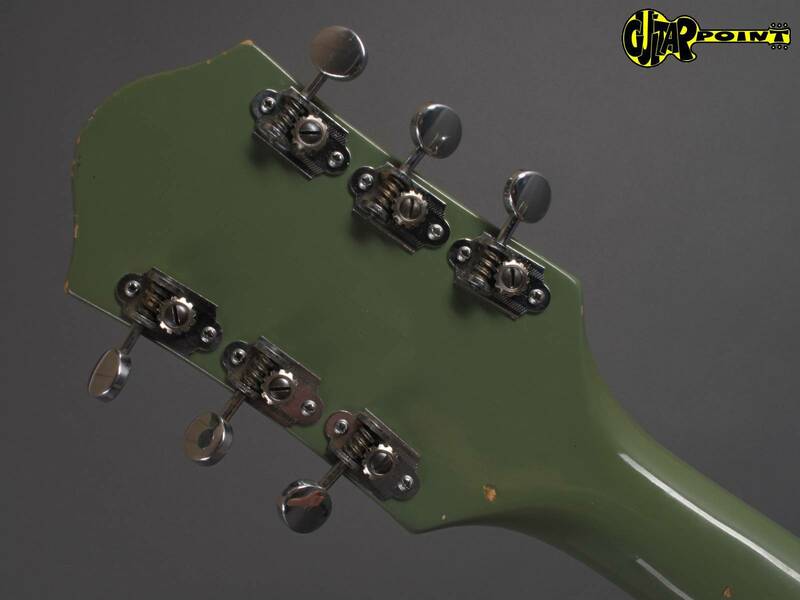 Only some minor playwear and some beltrush on the backside of the body, no cracks, repairs or other hidden faults. 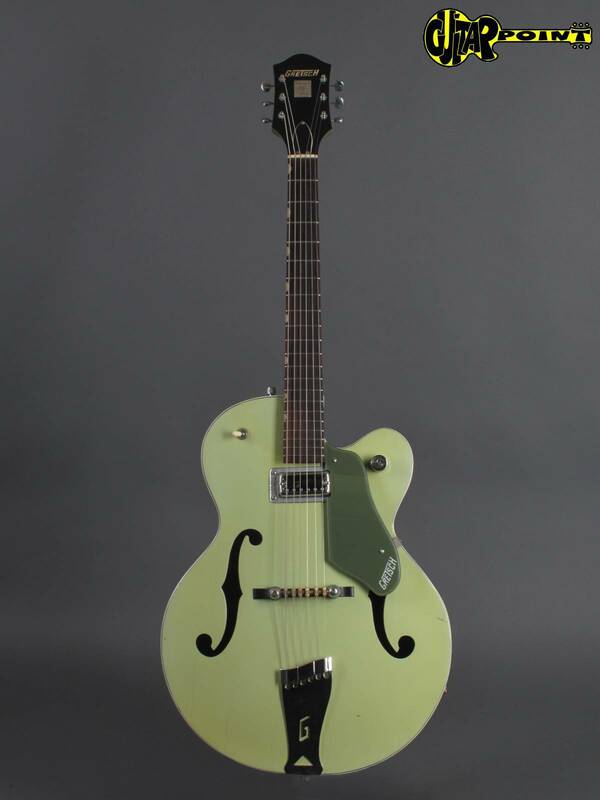 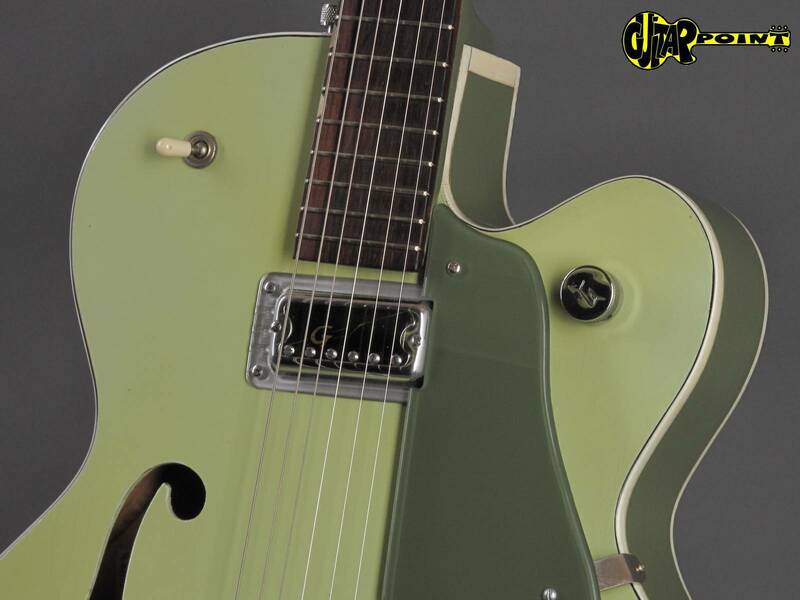 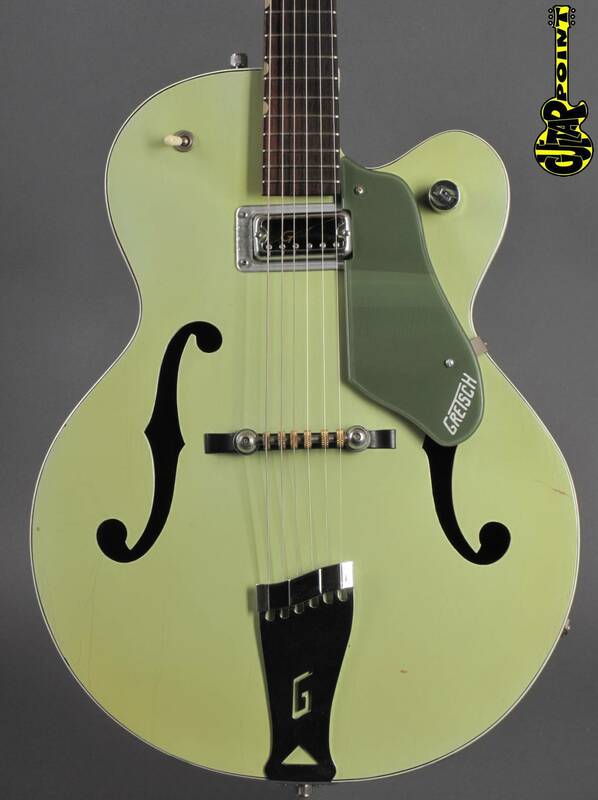 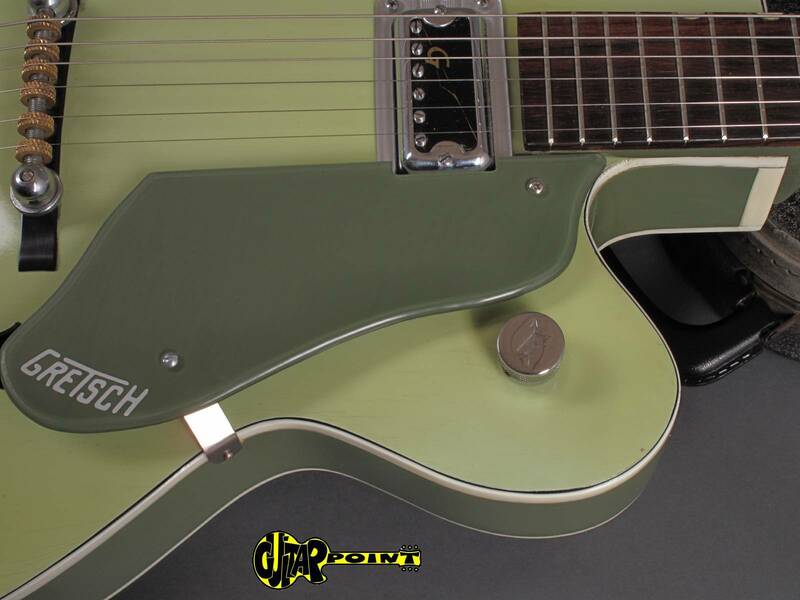 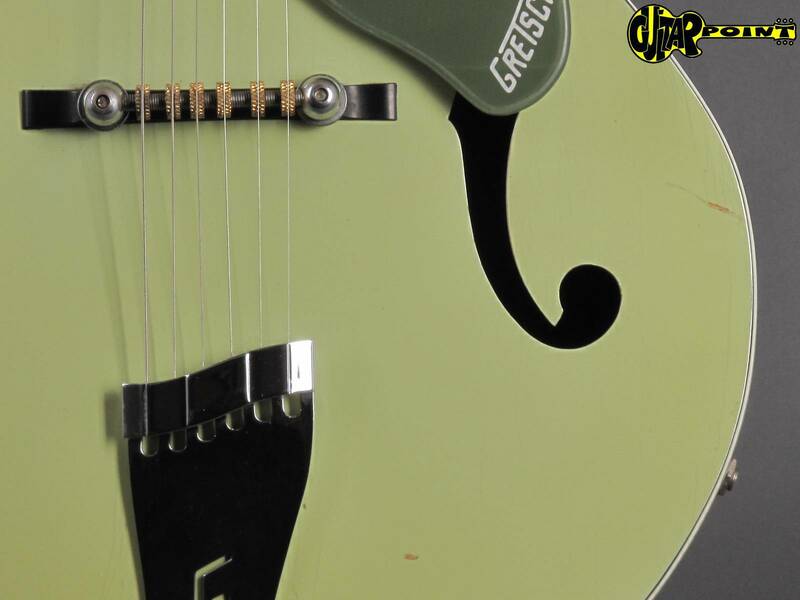 The med-size mapleneck is comfortable to play, and the single "HiLo-tron" pickup sounds great - typical Gretsch! 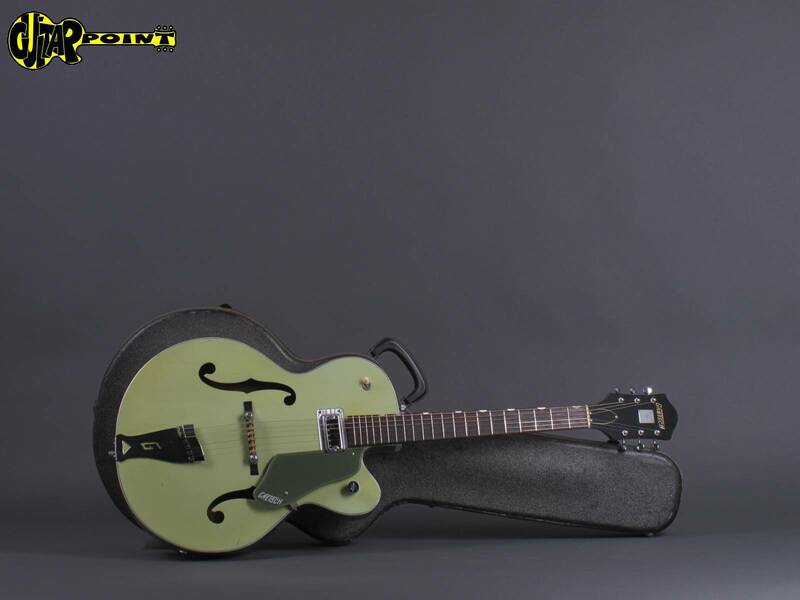 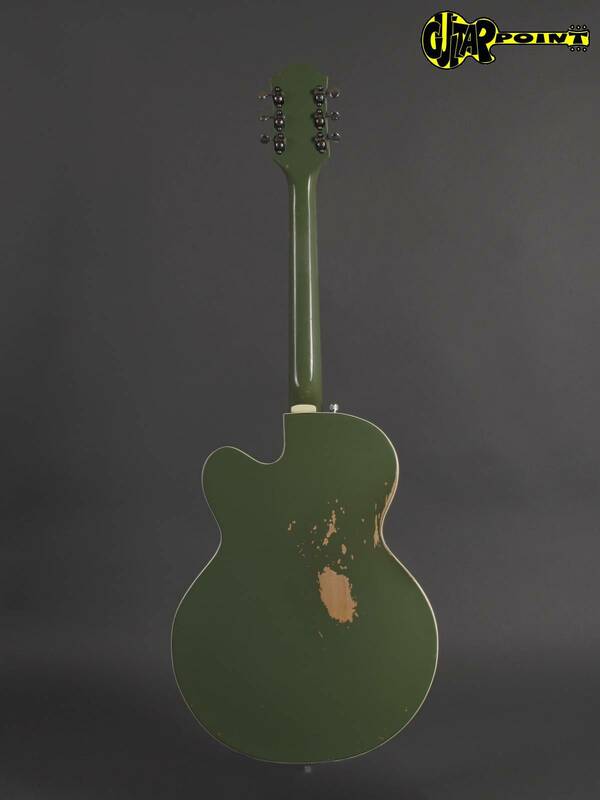 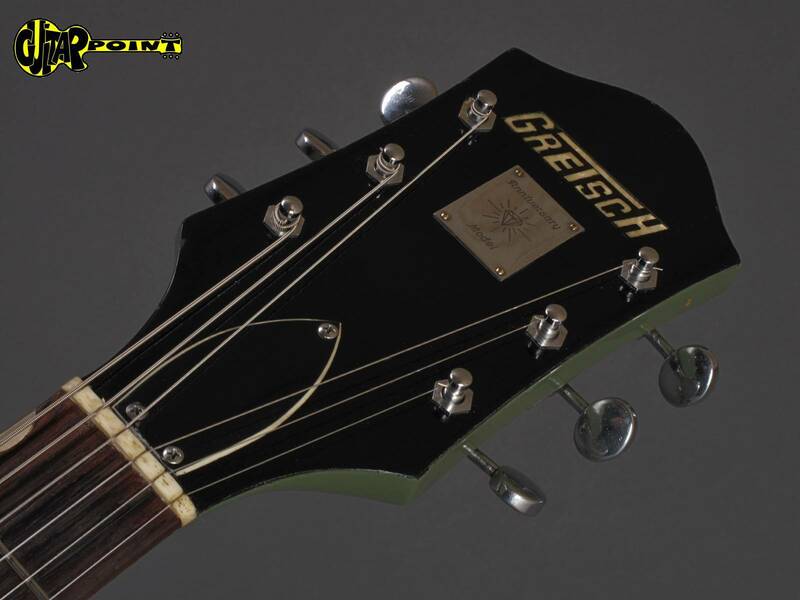 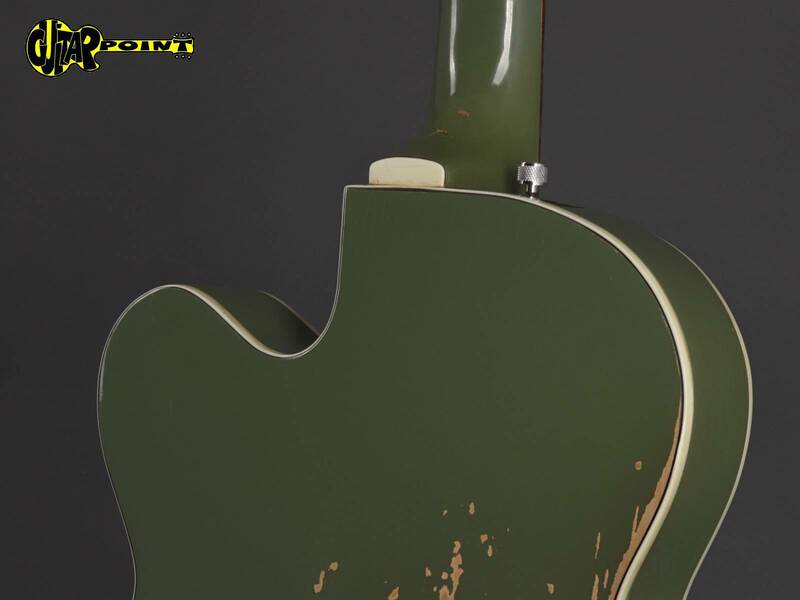 The guitar comes in its original gray/silver Gretsch hardshellcase with maroon plush lining.